Tincture of the flowers of Bluebells, Chamomile, Cherry Plum, Chestnut Bud, Chicory, Holly, Impatiens, Mimulus, Vervain, Vipers Bugloss, Vine, Walnut. Alcohol content approx. 27%(v/v). 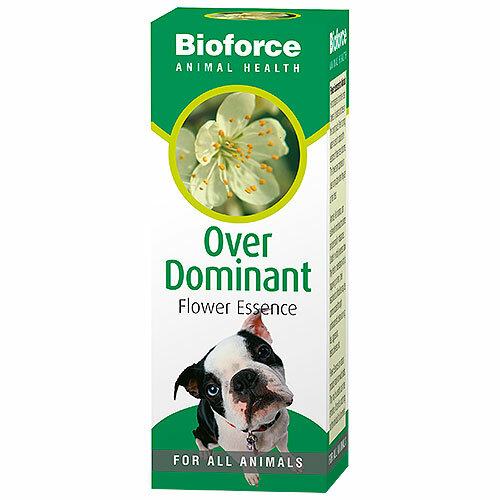 Below are reviews of A Vogel Animal Over Dominant Essence - 30ml by bodykind customers. If you have tried this product we'd love to hear what you think so please leave a review. Oh dear! Those animals with attitude! This combination of flower essences has been put together to provide balance for the naturally head-strong, stroppy and stubborn animal.